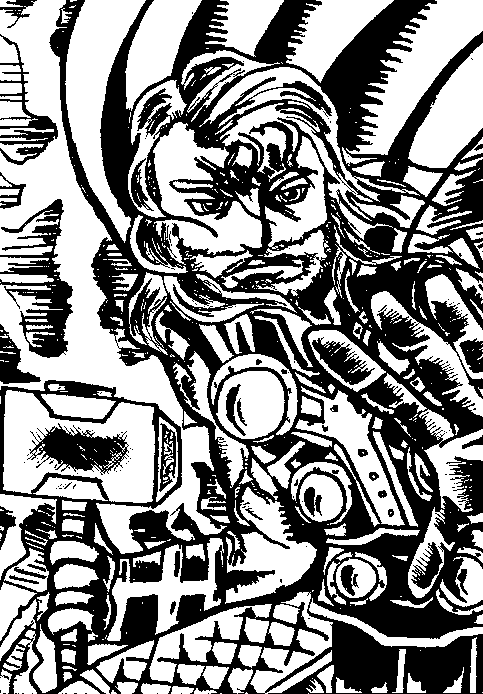 This Thor art card that I drew was because I had this great image in my head that I wanted to get out onto paper. I usually don't draw Thor well, I am not sure why. Is it because of his beard and long hair? Or is it the fact that I am trying to always think of new ways for him to hold his hammer? 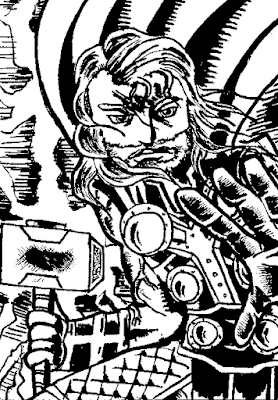 I am not sure exactly, though I will admit that I have difficulty drawing his hand holding the hammer. Like, I always draw the forearm too short, so it looks like his wrist is very stubby. However this picture came off really well because of his pose. It is perfectly fitted for a small card's dimensions and you are still able to see a lot going on. I also was quite pleased on how the lightning turned out. It looks very bold, but quickly fades away from the hammer. My favorite part of this picture is Thor's outstretched left hand in the foreground. I took great pains to make sure that his hand stands out from the rest of his body, but not so much where it looks discombobulated.